After you check out this giveaway opportunity from Gossamer Blue, you'll find info on my Paperhaus giveaway and blog hop at the end! Imagine my excitement when Kristen, the owner of Lily Bee Design mentioned she was creating EXCLUSIVE papers (and a stamp) for the Gossamer Blue kit club. I was just hoping and praying she'd send me a few spares. Little did I know though that Lori, owner of Gossamer Blue, would be inviting a few of the Lily Bee Design creative team to play with her kits this month!!! Saying I was excited is an understatement! The June kit and add-ons can be found HERE. I worked with Lori to create an easy peasy joint challenge for a chance to win a kit for yourself!!! 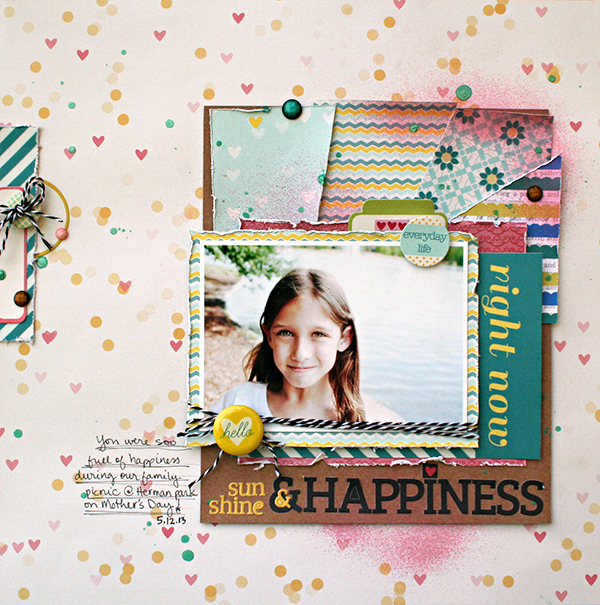 All you have to do is create a summer themed layout, using mainly Lily Bee products, upload it to the gallery and you'll be entered for a chance to win a June Main kit! 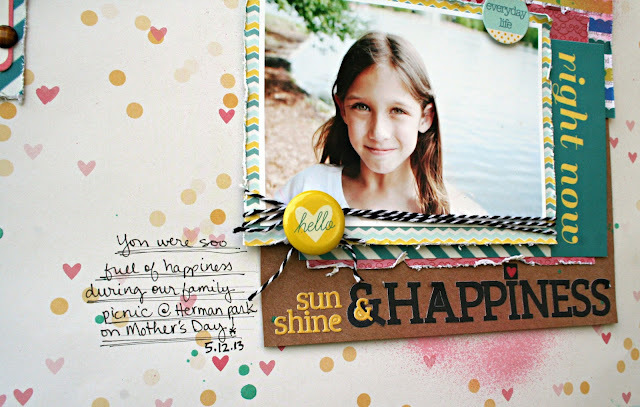 Details are on the Lily Bee Design blog. Here's the inspiration layout I created for the challenge. I mentioned that Kristen designed some new exclusive papers for this months kit, which I used along with goodies from her Sweet Shoppe collection. Seriously so lovely! You can see more of the exclusive papers and stamp HERE. When I think of summertime, I think of sunshine & happiness and when I think of sunshine & happiness, I think of sun rays so...I created ray-like elements in my layering. Can you see it in the photo above? Finally, I had to journal about how happy she was during our Mother's day picnic at the park before we ventured over to the Houston Zoo. I hope you'll play along with the "Summertime" challenge for a chance to win a Gossamer Blue Main kit of your own. Before you go check out the PaperHaus blog hop HERE on my blog for an easy peasy chance to win a RAK from me! beautiful Heather!! your layouts are always stunning! LOVE this!! Those paper layers are GORGEOUS!! Just gorgeous, Heather! Love that layered sunburst! I am so thankful too I got to play with these exclusives. Amazing! Saw this on LB today and absolutely LOVEEEEEEEEEE it! great layout - i love the green and yellow together! Gorgeous Heather!! 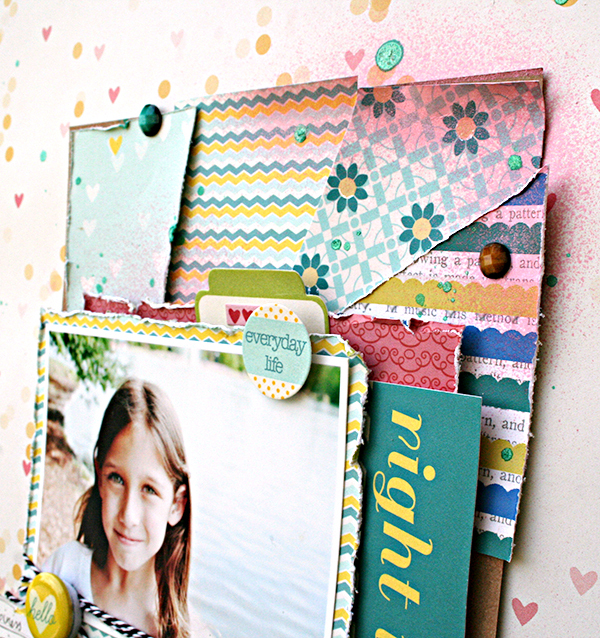 Love all of the patterned papers layered behind your photo!! loving the texture and colors--AWESOME!